Welcome to our Flexible Ski Breaks section, with a selection of apartments offering Short Ski Breaks, Ski Weekends or Flexible Skiing Breaks Midweek in Morzine, Chamonix, The Grand Massif, Serre Chevalier and Ste Foy Tarentaise. With the proliferation of midweek flights from Low Cost Airlines, short ski breaks have become a practical and relatively cheap alternative to full weeks skiing holidays. Travelling mid-week allows you to avoid the traffic getting into the major resorts, and benefit from cheaper flights during the week rather than the weekend. Long weekend ski breaks are now very popular - flying out Thursday perhaps, and returning Sunday evening or early Monday morning. Another beauty of weekend ski breaks is that you get to ski on Saturday - the changeover day for everyone else apart from the locals, so a great opportunity for some quiet pistes and lack of ski lift queues. 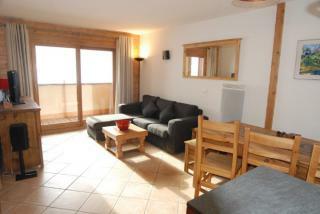 One bedroom apartment in Monetier-les-Bains, Serre Chevalier only a short walk to the slopes. Sleeps 4. Pool and sauna in residence. £450 - £1380 / week. Ski apartment to sleep 4 people. Beautiful 3 bedroom / 2 bathroom apartment in the delightful Savoyard village of Sainte Foy Tarentaise, south-facing balcony with wonderful views. £700 - £1695 / week. Ski apartment to sleep 6 people. 3 bedrooms, 2 bathrooms, 1 separate WCs. 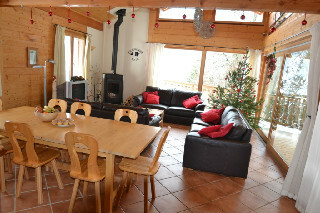 Beautiful detached chalet with mountain views near the Alpine village of Morillon. Sleeps 8. £395 - £850 / week. Self catering chalet to sleep 8 people. 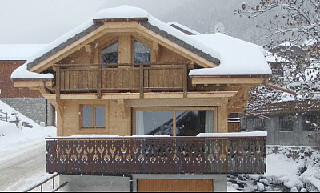 Beautiful Brand new Chocolate box chalet in the very centre of Morzine. Sleeps 6/8. £1750 - £3250 / week. 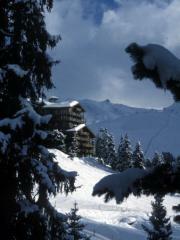 Ski In /Ski Out Chalet-Apartment at 2050m altitude, sleeps 12-14, all rooms en-suite. Free Spa - swimming pool, hot tub and sauna. Catering options can be provided. £2431 - £7359 / week. Ski apartment to sleep 14 people. £6500 - £10500 / week. Self catering chalet to sleep 14 people. 7 bedrooms, 6 bathrooms, 1 separate WCs. 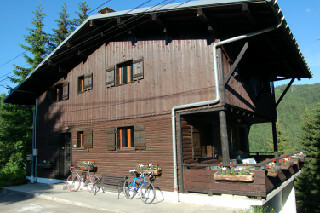 Chalet Ribot specializes in ski and cycling accommodation on Alpe d‘Huez. 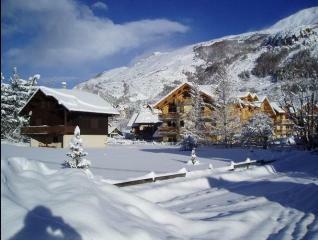 The chalet is nestled in the tiny hamlet of Ribot Huez on hairpin 12 of the infamous Alpe d Huez. 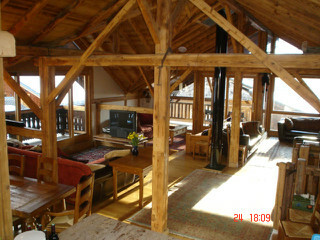 £413 - £623 / person / week. Catered chalet to sleep 16 people. 7 bedrooms, 5 bathrooms, 5 separate WCs. 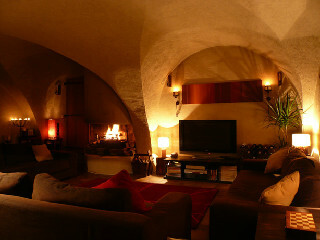 Spacious 7 bedroom chalet situated in Les Gets on the Mont Chery side of the mountain. Sleeps 17 comfortably. £3300 - £5700 / week. Self catering chalet to sleep 17 people.